The New Year is the perfect time to take action on the important changes you are hoping to make in your life. An easy way to achieve this is by using SMART goals. The acronym stands for: specific, measurable, achievable, realistic, and time bound. By setting small attainable goals, you increase your chances of having a large success. Instead of thinking about how many days you will have to spend at the gym this year to lose weight, track your progress weekly by creating a goal of attending three times a week for 30 minutes of cardio at each visit. You can apply SMART goals to just about anything from increasing servings of non-starchy vegetables at meals to finally quitting cigarettes. Every day is a great day to set a SMART goal! Planning ahead is key to a healthy diet. High-calorie, high-fat, and sugary foods seem to always be around tempting you to verge off course. Preparing snacks for your week is a sustainable solution to deal with the office birthday cake or a box of donuts. 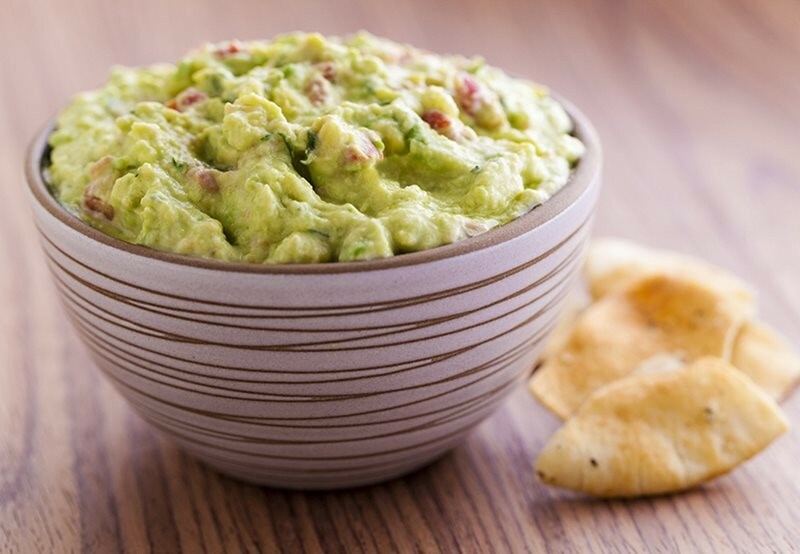 When stress at work is high and your blood sugar is low, try this delicious Greek Yogurt Guacamole with your favorite cut vegetables or whole-grain crackers. Greek yogurt is packed with protein and the avocado provides heart-healthy monounsaturated fatty acids (MUFAs) and dietary fiber to keep you feeling fuller longer. This version simplifies prep by using salsa to add spice and zip. This quick and easy dip may just become your new 2019 favorite! 1. In a large bowl, coarsely mash avocados, leaving some chunks. 2. Add remaining ingredients and mix to blend.